Tero Marine has been in the shipping business for 31 years. Our software's proven reliability has made TM Master the preferred fleet management system for some of the world's leading shipping companies. That makes us proud. On this page you will find a few testimonials from our list of clients. TM Master is in daily use on 38 of the vessels in the fleet of Knutsen OAS Shipping. All data from the ships is automatically replicated to the office, where it is monitored by the maintenance department. “We believe Tero Marine delivers the best maintenance and procurement product on the market within our business segment. They are big enough to deliver new functions and modules, but at the same time they are small enough to listen and cooperate to improve the TM products to meet our needs. Gulf Offshore Norge owns and manages a range of specialised platform supply vessels. The company operates internationally as well as in the North Sea, and has been a customer of Tero Marine since the beginning of year 2000. Gulf Offshore Norge was the first company to convert the whole fleet to TM Master V2. "I have nearly 30 years of experience with the IT business, and I am extremely pleased to say that the support department of Tero Marine never fails to impress me with their professionalism, efficiency, and creative troubleshooting skills, not to mention their friendliness and constantly good humour. As support departments go, I, as a customer, couldn’t wish for any better." Eidesvik is a future oriented and innovative shipping company that operates vessels within supply, seismic and subsea. 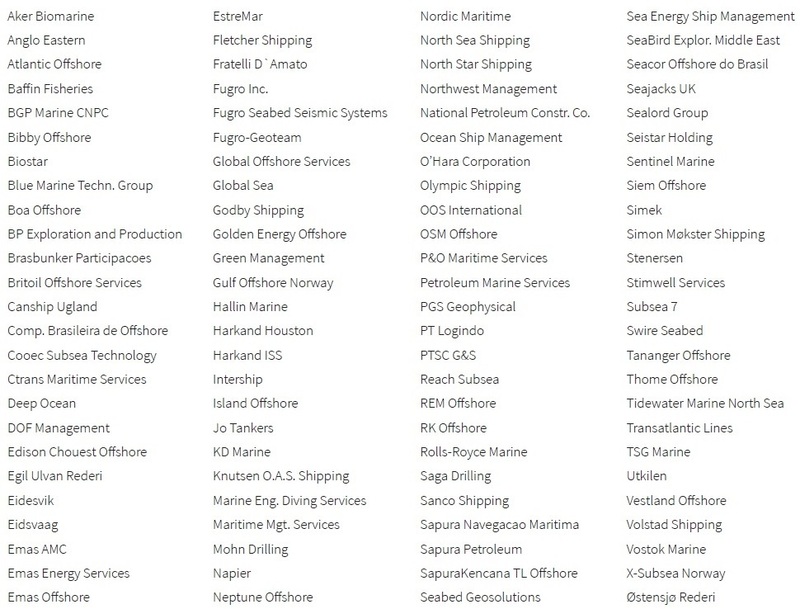 Tero Marine had a central and advisory role in the process of standardizing Eidesvik’s databases. During the process Eidesvik built good routines for standardisation and has implemented this successfully in the organisation. "An innovative maintenance system with built-in tools to standardise the database from ashore, in combination with very good co-operation from Tero Marine, has lifted the quality and maintenance system to a new and improved level of uniformity for the entire fleet." Subsea 7 operates one of the world’s most versatile fleets, comprising high-specification pipelay, construction, remote intervention and diving support vessels. Tero Marine had a central role in the database conversion of 15 vessels in the Subsea 7 fleet. One of the key elements was to ensure data consistency between the old database and the new one. Subsea 7 and Tero Marine mapped out a strategy for the process, enabling the project to get off to a very good start. "The conversion process has been completed according to plan. This has enabled us to get all the Subsea 7 vessels on one common platform within reasonable time. We could not have accomplished this without Tero Marine’s help and expertise."